Who wants to tell William Shatner? The owner of Priceline is changing its name. The travel website's parent company, The Priceline Group (PCLN), has changed its name to Booking Holdings. It begins trading under its new ticker symbol, BKNG, next week. The company is best known in the United States for Priceline, the popular reservation website for hotels, flights and rental cars. Many of its commercials over the years featured Shatner as a price-chopping special agent known as the Priceline Negotiator. Priceline survives as a brand. 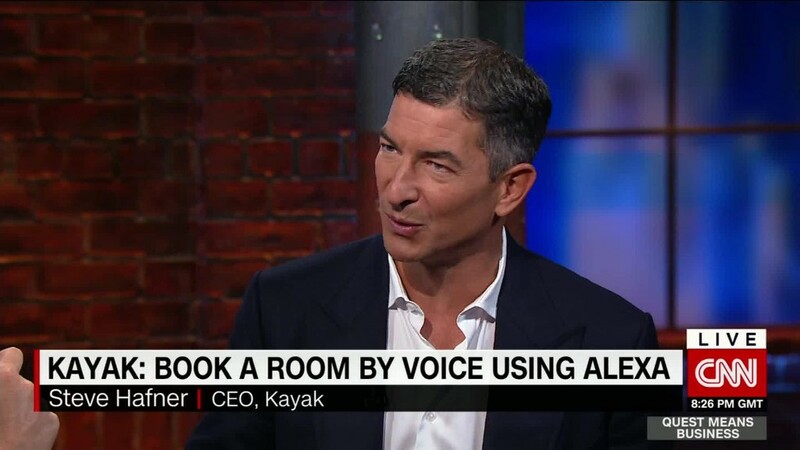 Booking Holdings also controls Kayak, RentalCars.com and the restaurant reservations site OpenTable. But the company says its biggest business around the world is Booking.com, yet another of its travel sites. The name change is in part "to more accurately align our company name with our largest business," CEO Glenn Fogel said in a news release. Booking.com averages more than 1 million bookings per day and "produces a significant majority of Booking Holdings' gross bookings and operating profit," he said. The parent company will keep operating out of its Norwalk, Connecticut, headquarters.